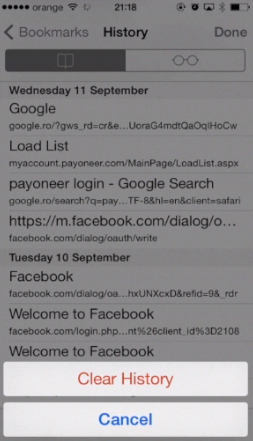 In this tutorial you will learn how to delete browser search history on iPhone running on iOS 7. Every human and every device has a history. Luckily for devices, if you want your iPhone to act as brand new, it’s possible to do so by deleting browser search history. When you need to sell your iPhone or give it away to your mother, here’s what to do. Step 1. Go to Safari app. When we start to tap now anything in the search field, the app gives us numerous suggestions based on our previous searches and enquiries. We will completely erase its history! Step 2. Tap “Cancel” to exit search interface and tap the “Bookmark” icon at the bottom of the screen. It leads you to the “Bookmarks” menu. Step 4. At the bottom of the “History” menu, tap “Clear”. 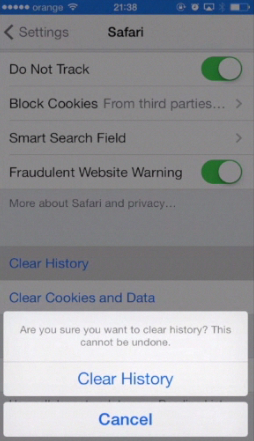 Confirm the action by tapping “Clear History”. Your Safari app has now all its memory erased. Step 5. 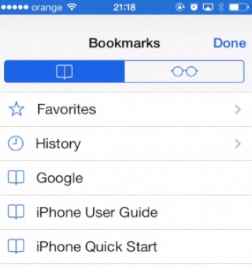 To make sure that you leave no traces, tap “Bookmark” icon again and tap the icon with glasses. Here is the last evidence: your favorite bookmarks! Step 6. Tap on any bookmark and swipe it to the left until you see “Delete”. 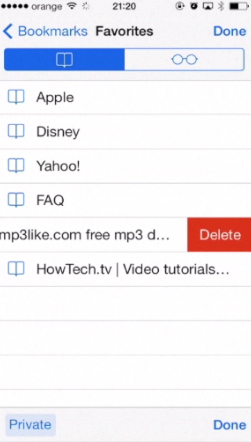 Tap “Delete”. Perform the same action with any trace of yours in the browser that is left and does not come with iPhone’s factory settings. Step 7. Alternatively, you can perform the same history cleaning along with other deletions of data via “Settings” app. Tap “Settings”, then scroll and tap “Safari”. Step 8. Scroll down a bit. 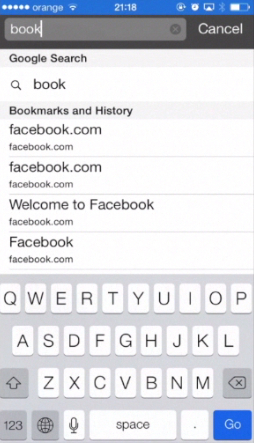 Tap ” Clear History” to clean up your history. Confirm your action. Step 9. Tapping “Clear Cookies and Data” forces the applications or webpages to land on your device as new, forgetting prior execution. Step 10. Scroll until the end of the Safari menu and tap “Advanced”. 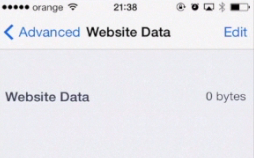 Tap “Website Data”. Make sure there is nothing left in this section. Our precise cleaning did not leave any traces. Result: Now your iPhone’s history is crystal-clear and ready for a new life!